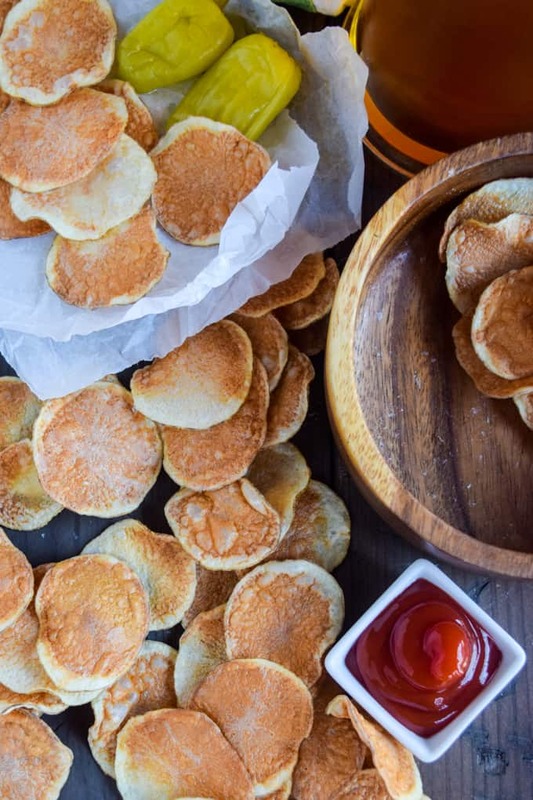 Ladies and gentlemen, rest easy because the recipe you’ve been waiting for is here – POTATO CHIPS! 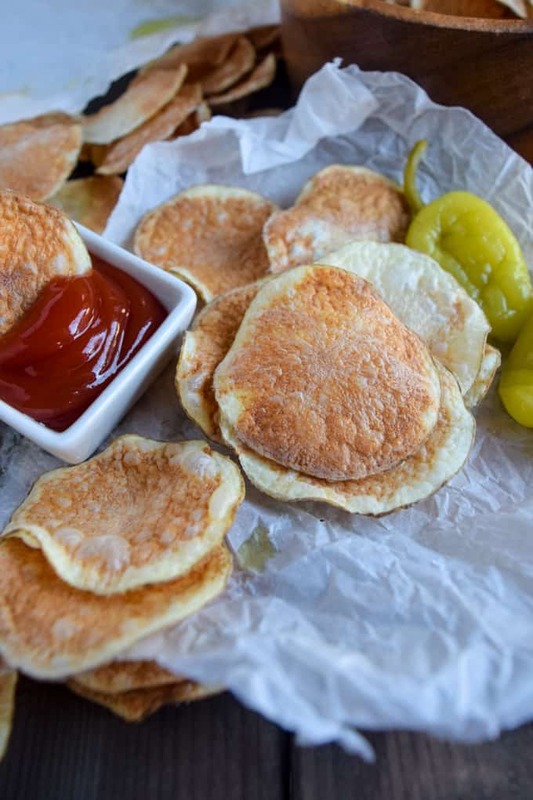 But, not just any potato chips – Five Minute Fat Free Microwave Potato Chips. Potato chips used to be one of my favorite snacks, but it doesn’t take a genius to know how unhealthy they are. 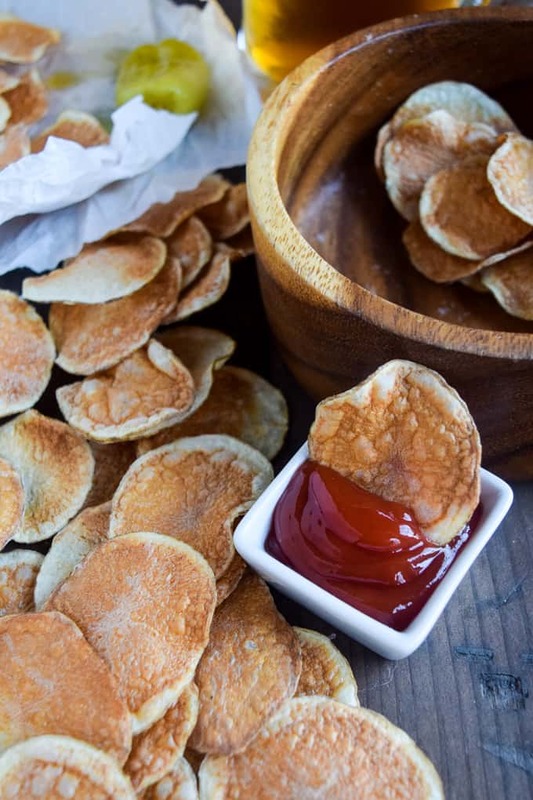 Little circular discs fried and full of fat. And, the organic versions on the shelf are no better…deep fried organic ANYTHING is still oil and fat. But, not these. Oil-free, crunch and delicious! A few years ago I saw an advertisement for a microwave potato chip maker and thought it was cool, but I hate clutter and didn’t want one more thing taking up space in my cabinets. So, I set out to see if I could make potato chips in the microwave without dropping twenty bucks on one more contraption. I totally nailed it! 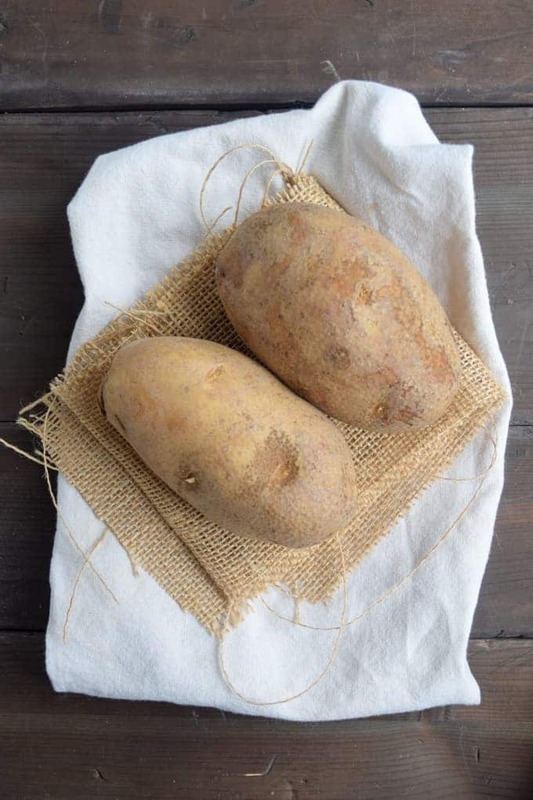 All you need is a potato, some parchment paper, the seasoning of your choice and five minutes in the microwave. The secret is in the slicing. The thinner the chip, the crunchier the chip. So, if you want to buy something for the kitchen, and you don’t already have one, get a MANDOLINE SLICER! You’ll never want use a knife again to slice potatoes…or any other vegetable for that matter. I love these chips “as is” but seasoning is completely up to you. So, do whatever makes you happy! Because food is way better if it makes you all tingly in your happy parts. And, these chips certainly make me tingle. Whew, I’m getting excited just thinking about it. 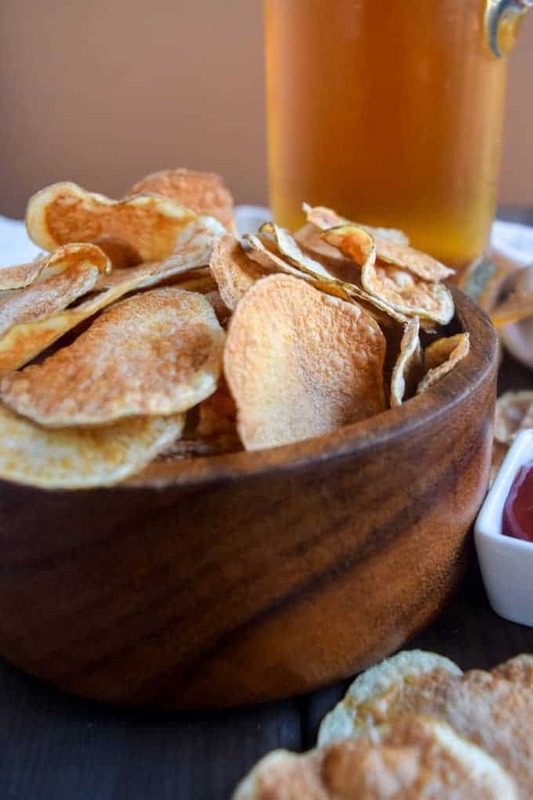 I think you’ll love these chips because they are super simple to make, crunchy, savory, delicious, fat-free and healthy. These chips are great as a side, but if you want to feel naughty and go for the full on “sports bar” effect, cover these bad boys with some vegetarian chili and my Game Day Cheese Dip. Oh…my…WORD! If you try these, let me know! Leave a comment; take a picture; then post it on Instagram and tag the photo #shaneandsimple because I want to see your creation. Peace and feast! 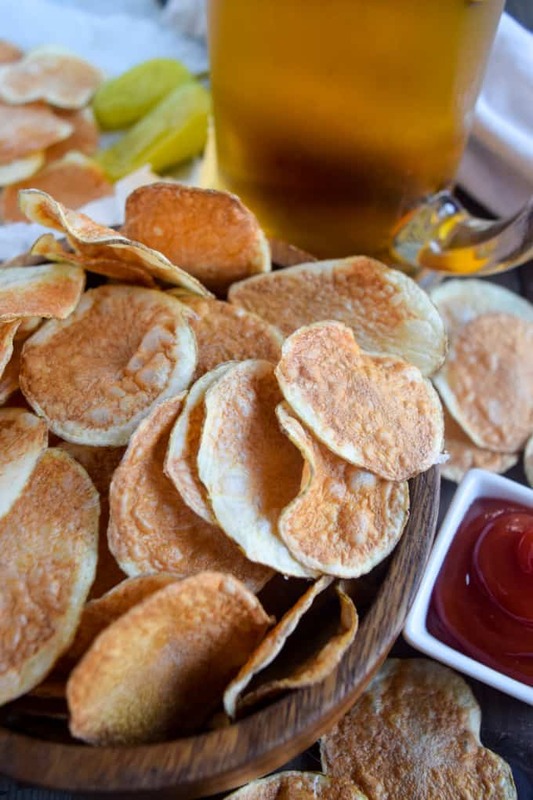 Delicious, fat-free potato chips made in the microwave. 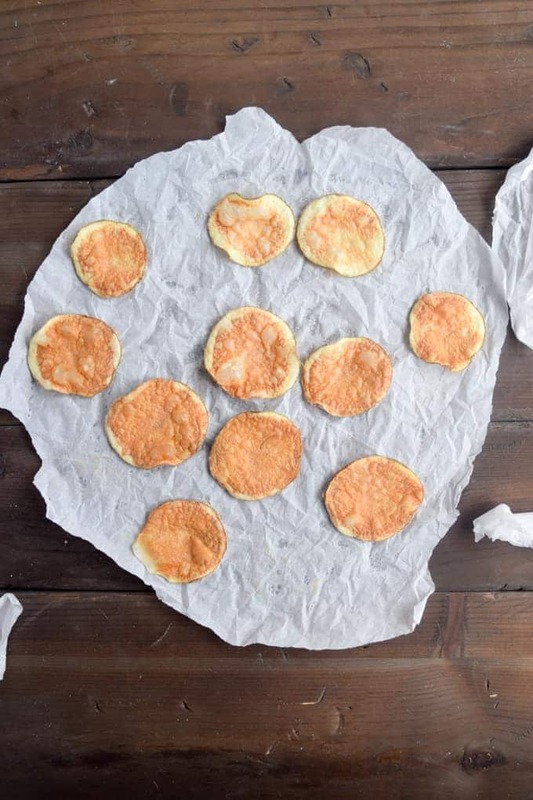 A super easy, delicious, and crunchy snack that satisfies those junk food cravings without the guilt. 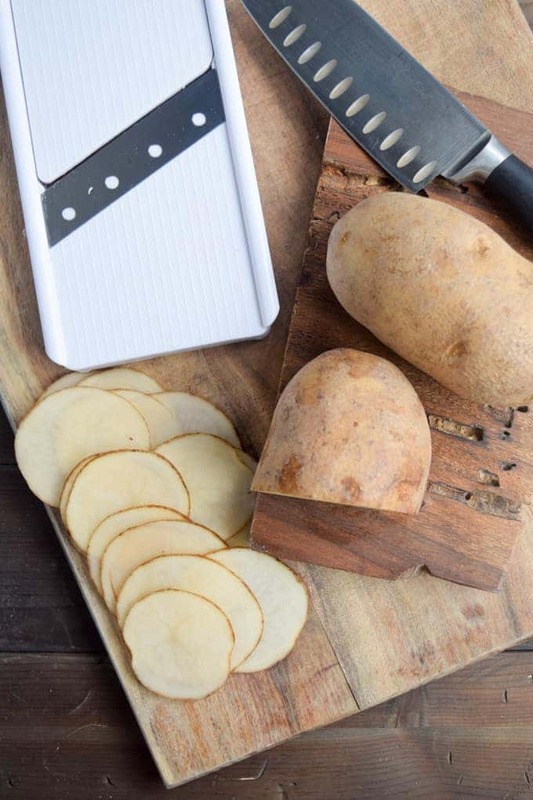 Slice potato with a mandoline slicer on thinnest setting. If you don't have a mandoline slicer you can use a knife, just try and keep the slices around 1/8 of an inch. 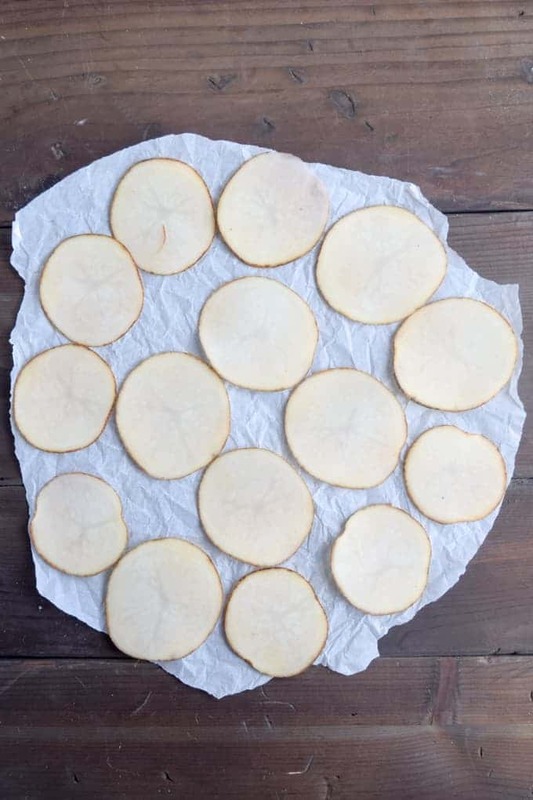 Arrange potato slices on parchment paper so that they do not overlap. Remove from microwave, let cool and ENJOY! Microwave cooking times may vary depending on the brand of appliance. If you don't have mandoline slicer you can use your food processor’s thin slicing disc. It works beautifully to get super thin potato slices. 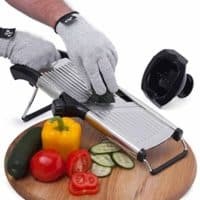 Or, you could help put a little coin in my pocket and buy a mandoline slicer by clicking on the product down below. Just discovered your site and made these last night. WOW! Hubby and I loved them. Who would’ve thought it could be this easy? Thank you. Welcome, Peggy! You’re very welcome! Thanks so much and glad to hear you enjoyed the chips. Peace. Could you do it in the oven , if so on what heat for how long? Jerry, I would try 350 degrees for about 10-15 minutes. Insane!! They are truly right out of a bag of chips! You have outdone yourself. These are amazing! Great idea, Kate! Glad you enjoyed them and I’ll make a not of that. Much appreciate!